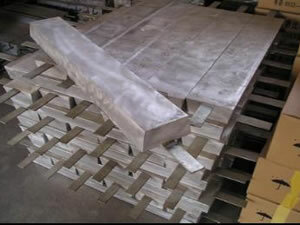 A galvanic anode is the main component of a cathodic protection (CP) system, which is used to protect buried or submerged metal structures from corrosion. It is made from a metal alloy with a more "active" voltage (more negative electrochemical potential) than the metal of the structure (typically steel). The galvanic anode (sacrificial anode) is usually attached to the vulnerable metal surface where it is exposed to the corrosive liquid. 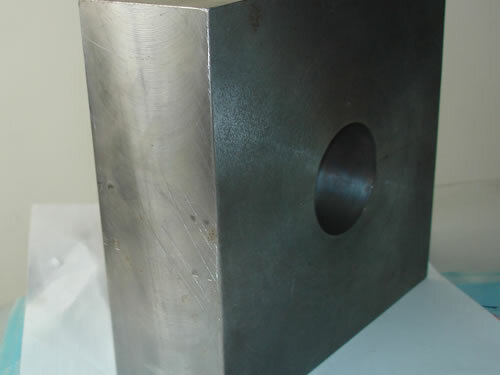 The potential of the steel surface is polarized more negatively until the surface has a uniform potential. It continues to corrode consuming the anode material until eventually it must be replaced. The loss (or sacrifice) of the anode material gives rise to the alternative name of sacrificial anode. 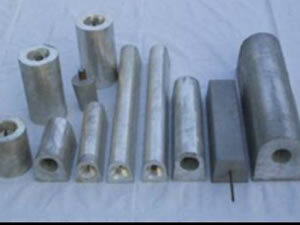 Our galvanic anode mainly includes magnesium anode, aluminum anode, zinc anode, pure iron anode. In essence, it is a kind of galvanic cell reaction. 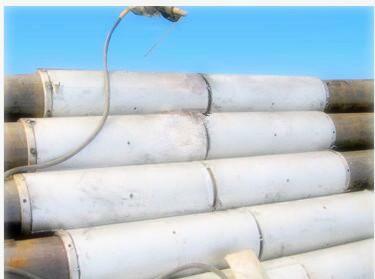 The sacrificial anode is widely used in the protection of steel and iron equipments in seawater or river channel. The galvanic anode is also applied to prevent cables, oil pipes, ports, underground equipments and chemical devices from corrosion. Corroco International Industrial Co., Ltd is a professional manufacturer and supplier of galvanic anode in China. 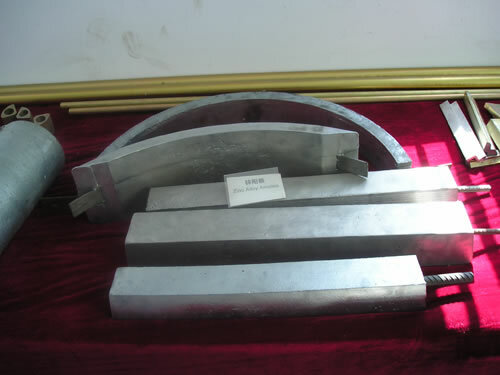 In addition to this sacrificial anode, we also produce impressed current anode, cathodic protection accessory and other cathodic protections. With 12 years' production experience, our products have been exported to the United States, Canada, Britain, Germany, Iran, Pakistan, India, Kuwait, Dubai, Saudi Arabia, the Philippines, Malaysia, Singapore, Congo, Turkey, etc.